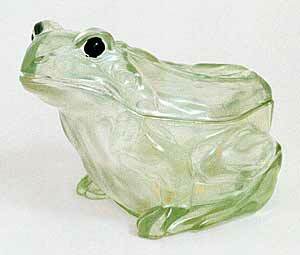 These frog-shaped two-piece candy dishes are fairly rare. They're worth watching for as they are considered very desirable. Ice green is the most frequently seen color.